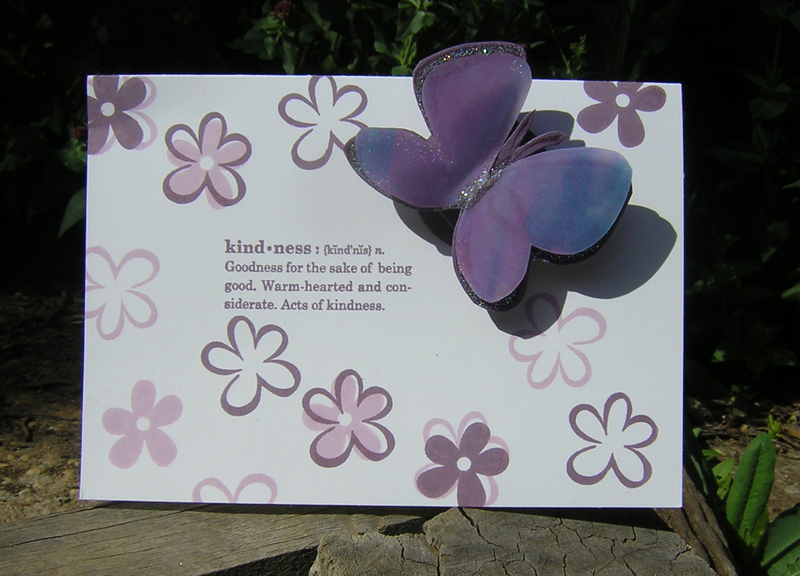 My postie delivered this beautiful card yesterday from the lovely Wendy, one of the EurekaStampers. Thanks so much Wendy! I love it. And it really is my birthday too! 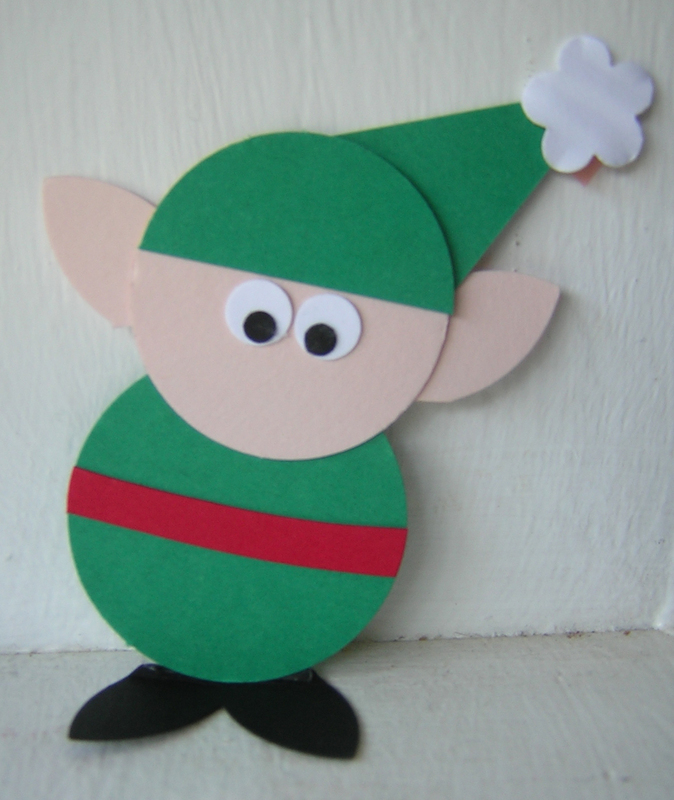 I got some lovely cards in the post today… aren’t they gorgeous? 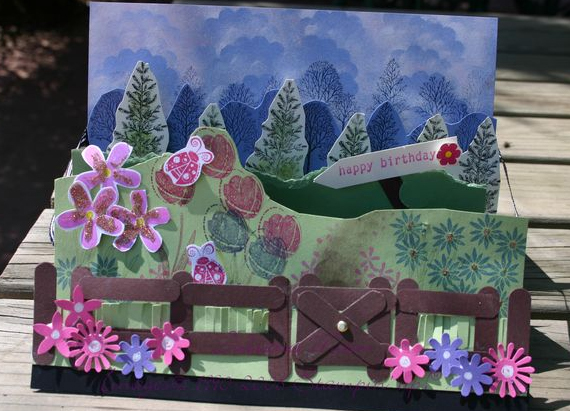 Thanks to Janine, Jen, Keah and Juliana for your beautiful cards and to everyone else who sent me good wishes today. Punches used: 5 Petal flower punch, circle punches, Three For You punch (from Punch Box). First, I stamped an A4 sheet of Whisper White cardstock in Bashful Blue, Not Quite Navy and Sahara Sand, with stamps from the Priceless stamp set. 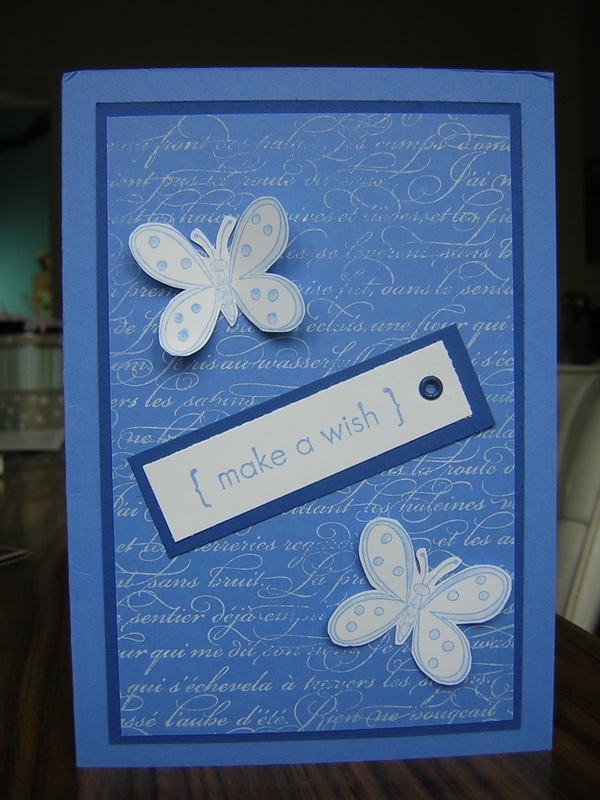 I cut and scored a few pages of Bashful Blue card stock, and rolled the So Swirly Stampin’ Around Wheel® across them. Then it was just a matter of slicing up my stamped sheet into pieces, matting them on some more cardstock along with ribbon and then putting them all together. I wanted each card to be a little different, without taking all day. I hope the ladies like them. 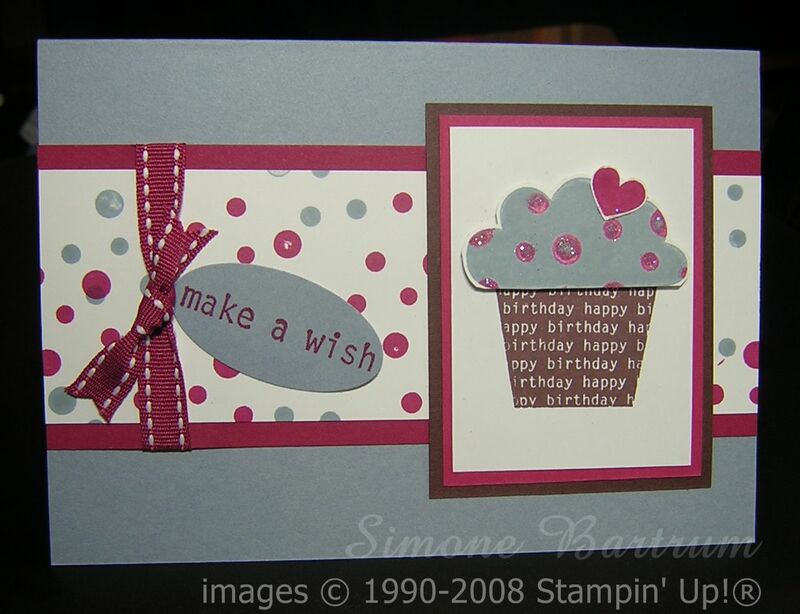 A few days ago I wrote about the great promotion that’s running this month to celebrate Stampin’ Up!’s 20th birthday. Today I’ve been making some cards with another of the sets that are 20% off with any $20 order: Short & Sweet (p118 Idea Book & Catalogue). I love how the stamps in this set are the perfect size for a tag or small gift card, but on a full size card they also complement other stamps beautifully. Perfect for when you want a happy-looking, casual sentiment. If this set is still on your wish list, don’t forget you’ve only got until the end of October to get it at the discounted price. This last card features an acetate window with ‘best wishes’ stamped in Jet Black Staz-On, although it’s a bit hard to see in the photo. 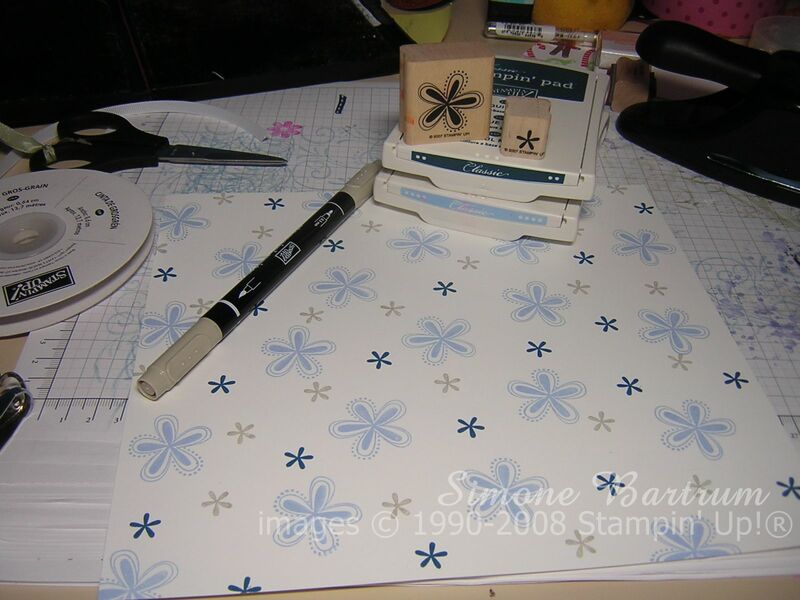 First I punched out the flower window from the base card (3″x3″) with Stampin’ Up!’s 5-Petal Flower Punch, and did the same for the square of Fall Flowers Designer Series paper. 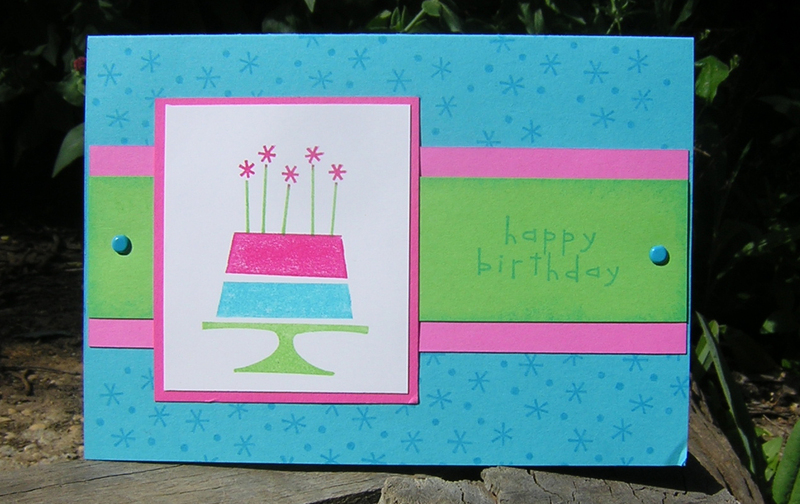 After stamping the sentiment on the acetate, it was sandwiched between the base card and decorated paper. This was lots of fun and I plan an making more! The first of our EurekaStampers team challenges got under way this month, and they are so much fun! What a great way to step out of your comfort zone and try new colours, new designs and new techniques. This one was designed by Juliana. The challenge: To use OLD OLIVE, MORE MUSTARD, BRAVO BURGUNDY and VERY VANILLA in the layout pictured on the left. This card gave me a great excuse to use my Earth Elements buttons (not that I need one LOL). I set myself my own little challenge of using a stamp that hasn’t seen ink for a while. 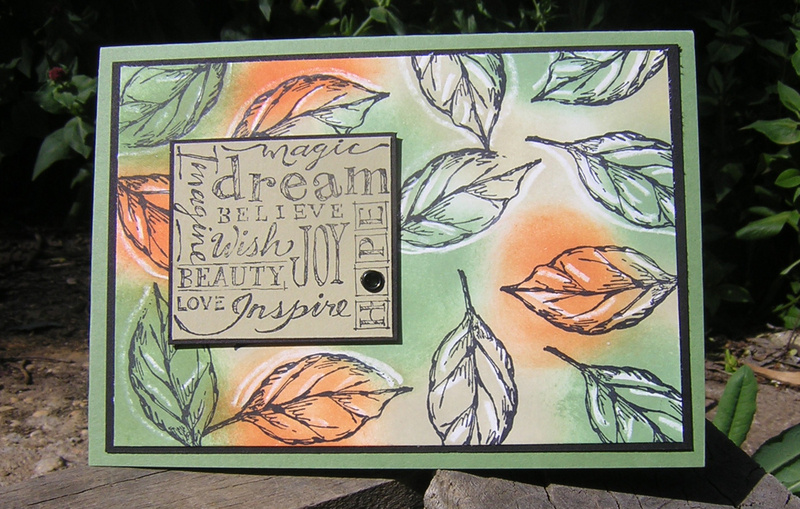 This one is from Wild Rose, which is a great 2-Step stamp set. The bottom layer of the flower was stamped in Bravo Burgundy, but I ‘stamped off’ first on to scrap paper so that it was lighter. The outline – part 2 of the 2-step process – was stamped in full-strength Bravo Burgundy. The tie in the buttons is made from the edge/binding sliced from a small piece of Bravo Burgundy grosgrain ribbon. 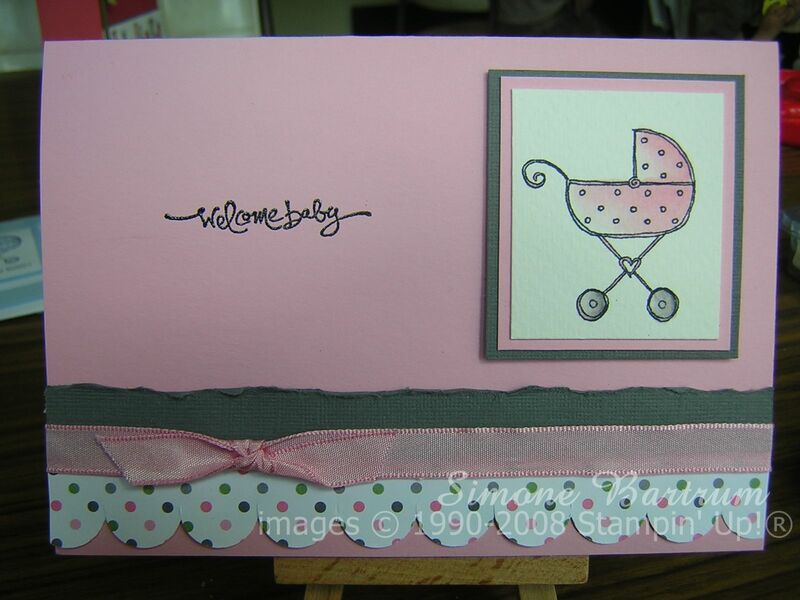 I just love love love how everything is co-ordinated with Stampin’ Up!… the cardstock, inks, buttons, ribbons, etc. Since I started using SU products, I haven’t worried about having leftovers or unused bits and pieces after a project is finished, because I know I can use it to match beautifully in a future project. 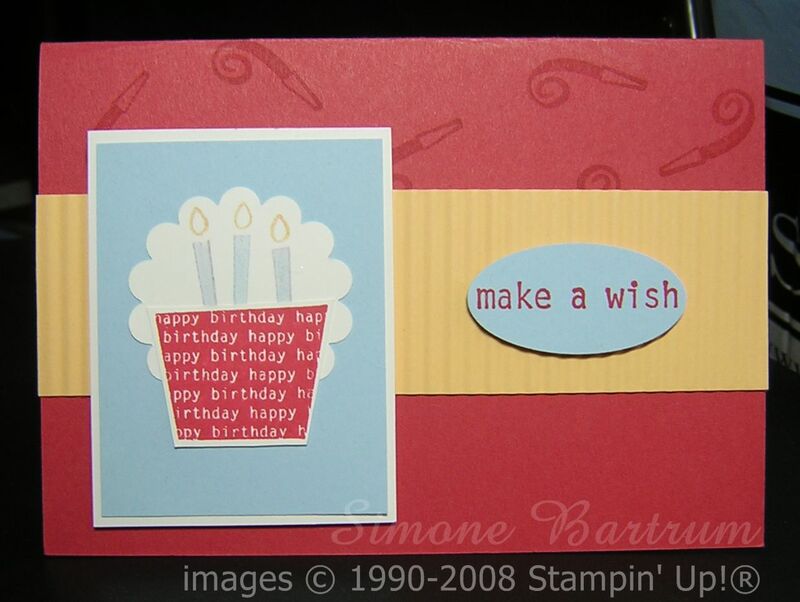 One of the most versatile sets available this month as part of Stampin’ Up!’s birthday promotion is Big Bold Birthday. There sure is more to this set than meets the eye! You get the idea. This is also a great set to practice your kissing technique… now don’t laugh, you know I don’t mean to pucker up the lips. LOL. Kissing, as in inking up two stamps and pressing them together so that the image from one transfers to the other. Yeah, of course you knew what I meant, hehehe. 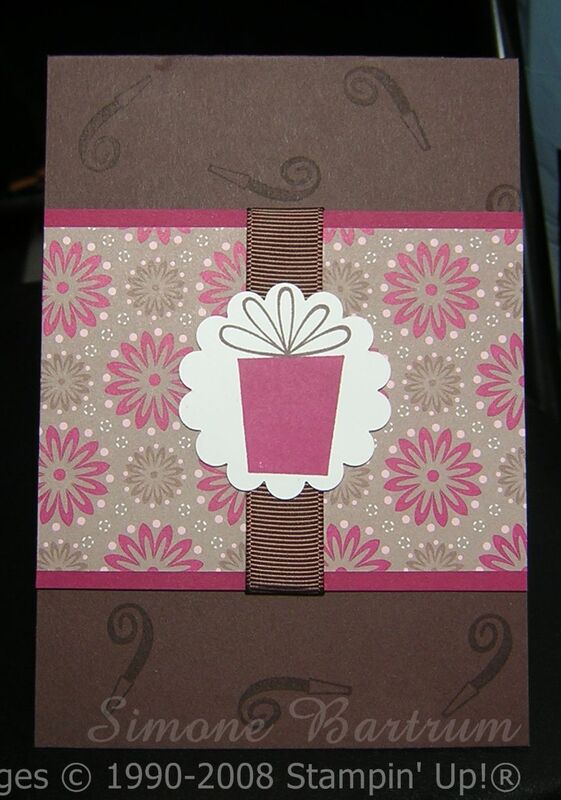 Here are some cards I made this week with Big Bold Birthday. Enjoy! 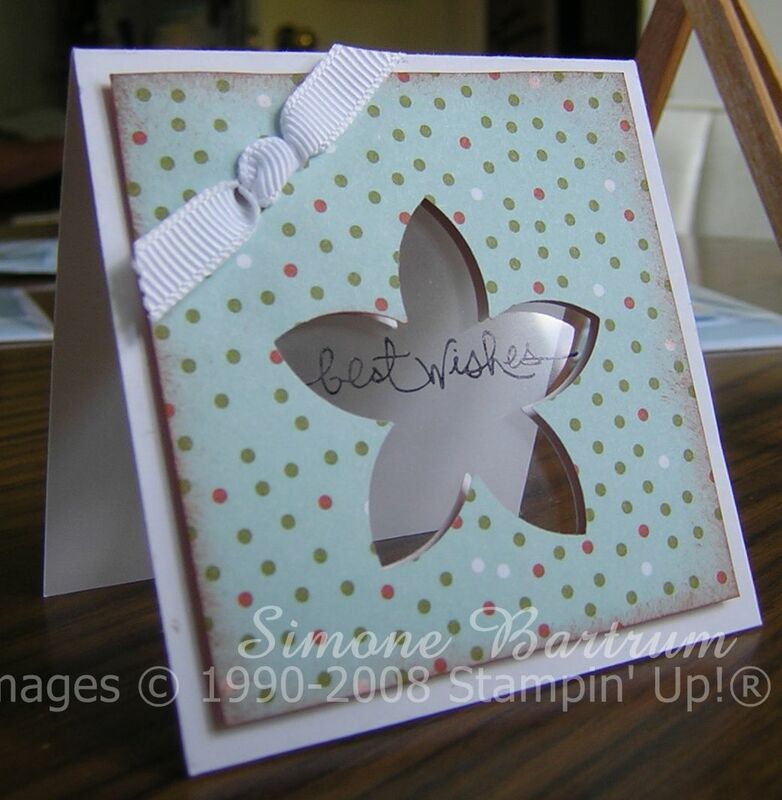 Until the end of October, a $20 purchase from the Stampin’ Up! catalogue will get you this set for the great-value price of $43.16!! Want more info? Email me and I’ll get back to you in a flash.